For whatever reason United lurched out of the gate and Arsenal instantly showed why October is going to be a very difficult month. 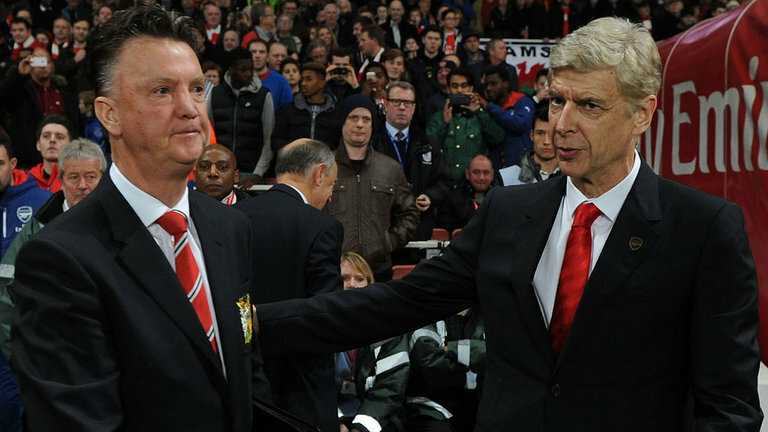 As Arsenal fizzed and sparkled, United were lethargic and ponderous. The spectacular goals from Sanchez and Ozil, and an excellent display from Walcott underlined a terrific Arsenal performance, particularly after their mid-week Champions League loss to Olympiakos. United did improve slightly in the second half, but it was a very large dose of medicine. “I didn’t expect that. I was surprised. Not performing our game plan. No will to win. I didn’t see that and when you were top of the league so I was surprised, amazed, maybe that is a better word. When you give a team like Arsenal so much space to play football you know that you shall lose and we have prepared ourselves in that way to play more compact but don’t lose your aggression. So it was amazing for me. I was very disappointed. I don’t know why it happened like that. I put that question at half time and also after the match. But it was also difficult for the players to answer because they are all in an emotional moment. We lost in a way you shouldn’t when you are top of the league. You cannot start like we started and the players know that. We were not slow we just didn’t have the aggression. Players like Schweinsteiger and Carrick have great positional feeling to play football but then still you need aggression and winning the second balls. So what happens now? Most of the squad have left for international duty. Van Gaal and his staff will be at Carrington with no one to talk to but themselves, and the questions are piling up. Can Schweinsteiger and Carrick start together as a defensive midfield paring? Why not play Schneiderlin every game with one of them alongside? Is Memphis/Depay a Manchester United player?. How do you solve the full back headache? One game shouldn’t send everyone running for the life boats. After all United are third on goal difference. If you want to see a crisis look at Chelsea, Liverpool or Sunderland. Rodgers and Advocaat gone, and knee jerk questions being asked about Mourinho’s survival. City’s hammering of Newcastle came after two league defeats on the trot. However with Palace away and City at home on the horizon, not to mention the almost 4000 mile trip to CSK Moscow, there’s not a lot of time to go back to the drawing board. My guess is there will be significant changes for the game at Everton.